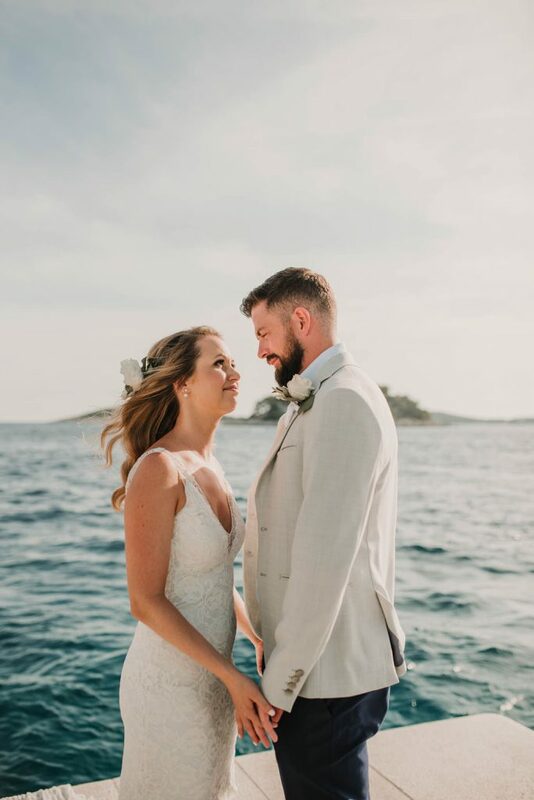 We’re over the moon to be able to show you this romantic outdoor destination wedding in a Croatian Island of Hvar. 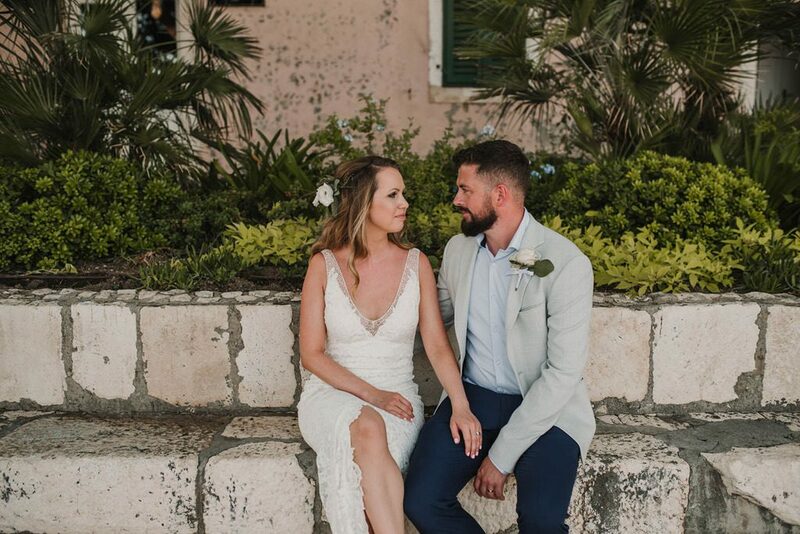 Harriet and Oliver both love to travel and came to Hvar all the way from the UK. 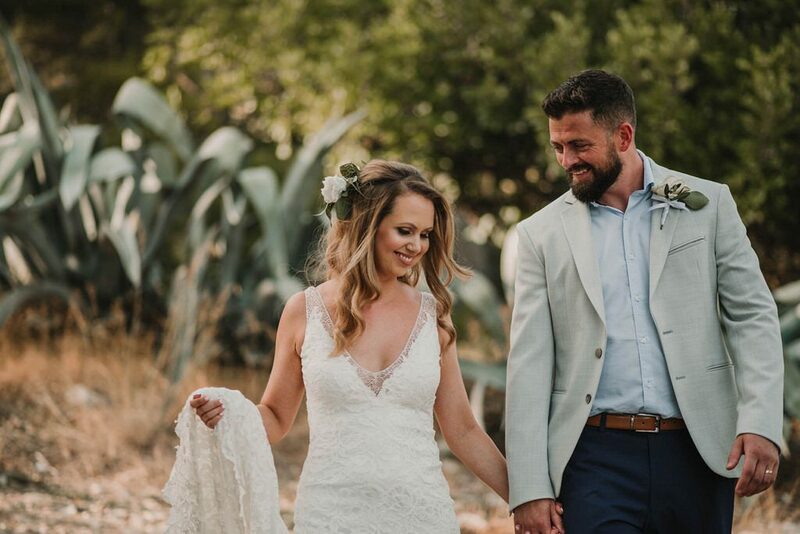 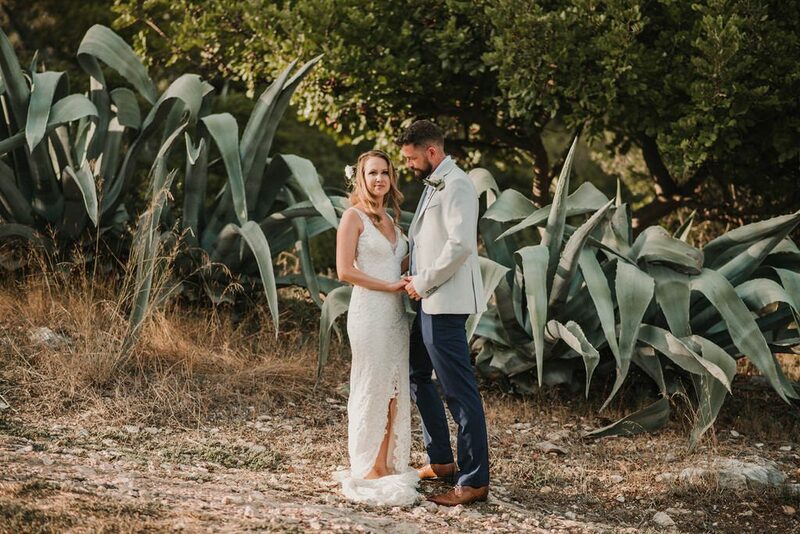 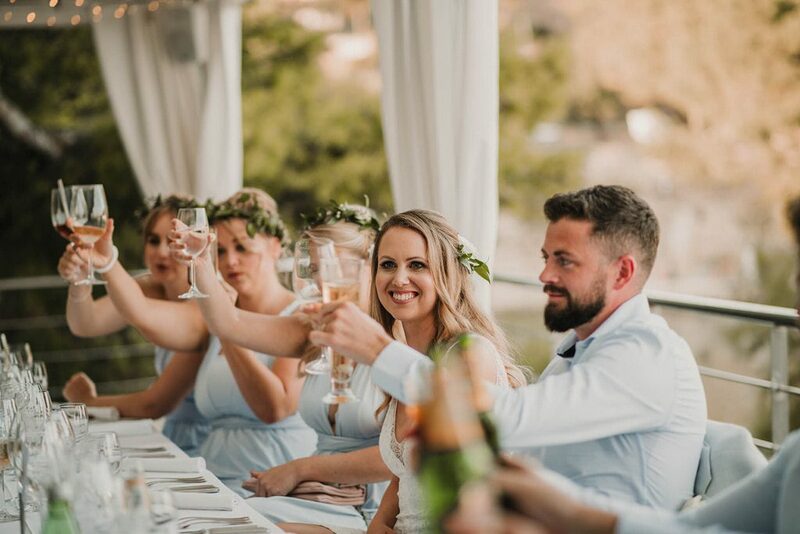 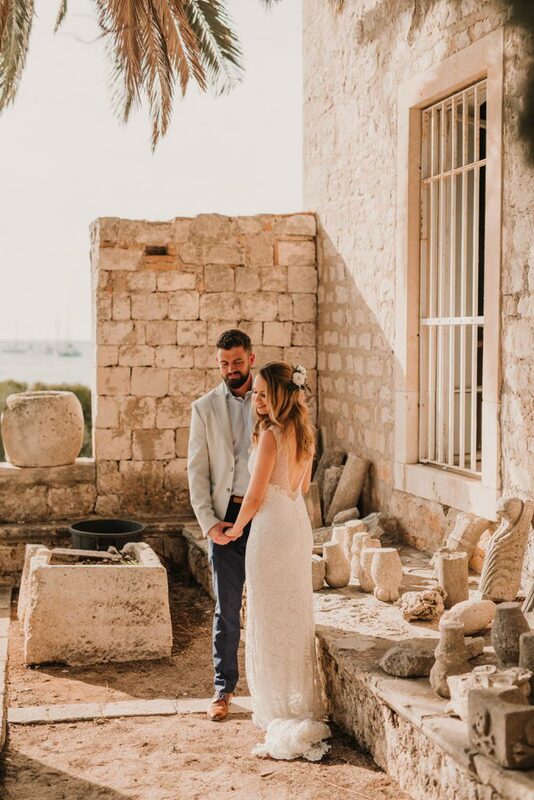 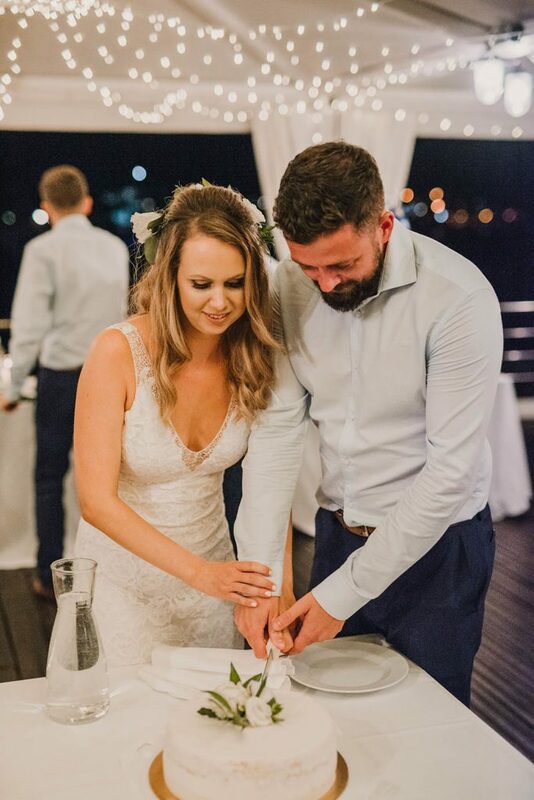 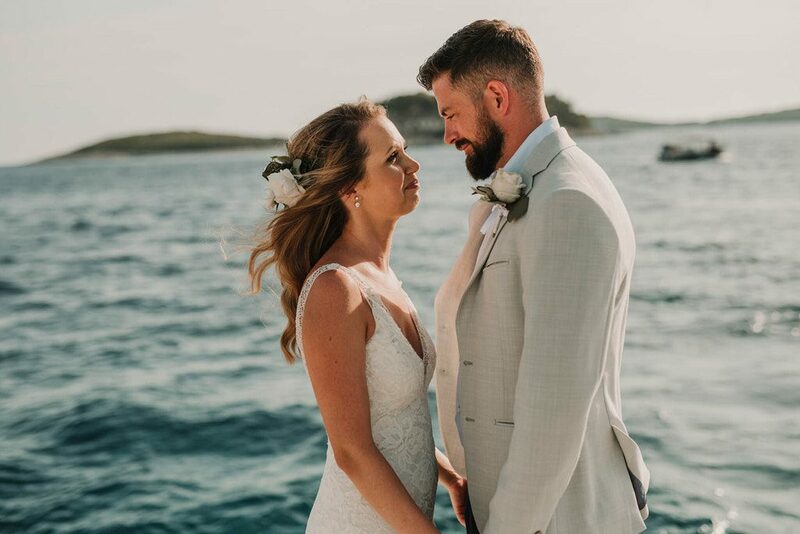 This British couple met in Australia, Oliver proposed to Harriet in Paris and they got married in a beautiful Croatian island. 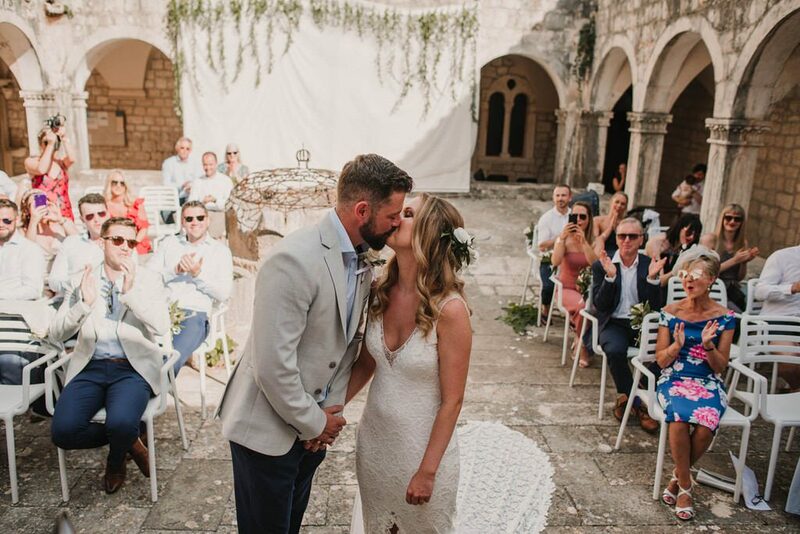 A proper destination wedding. 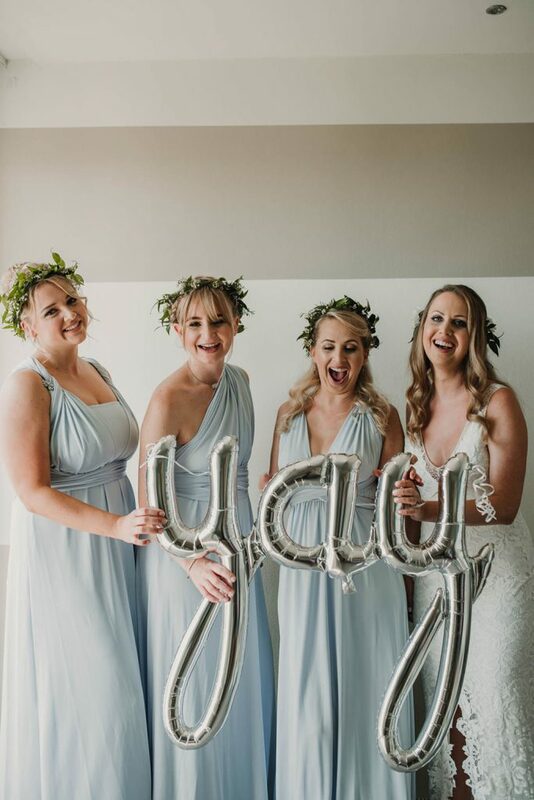 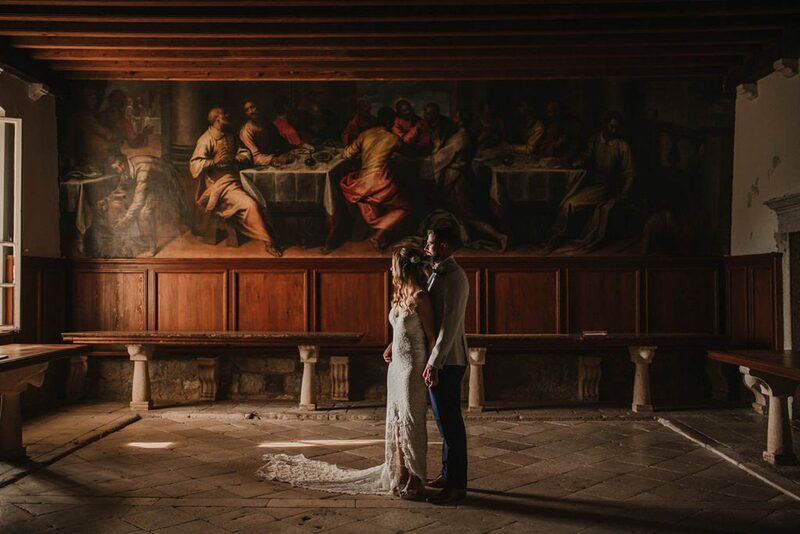 they were amazing to work with and really captured the feeling of the day. 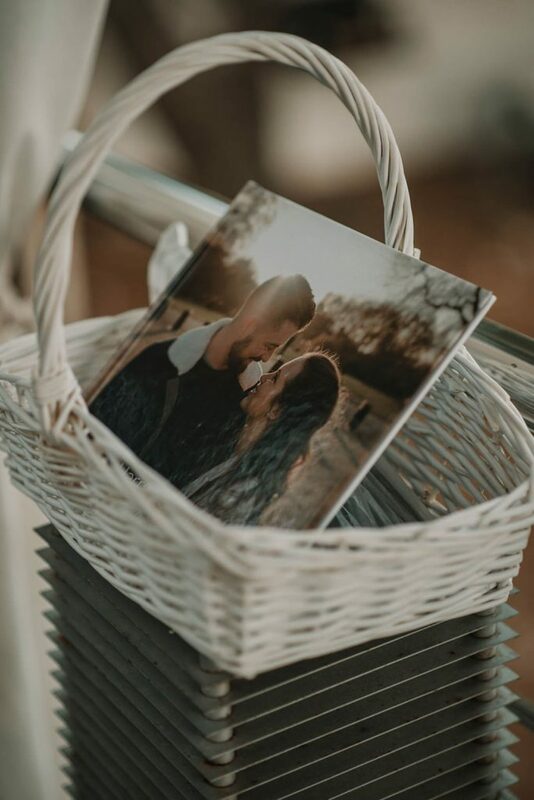 Ollie and I met whilst working on a farm during our travels of Australia and six years later Ollie proposed in a park overlooking the Eiffel tower in Paris after I was too scared to climb up it. 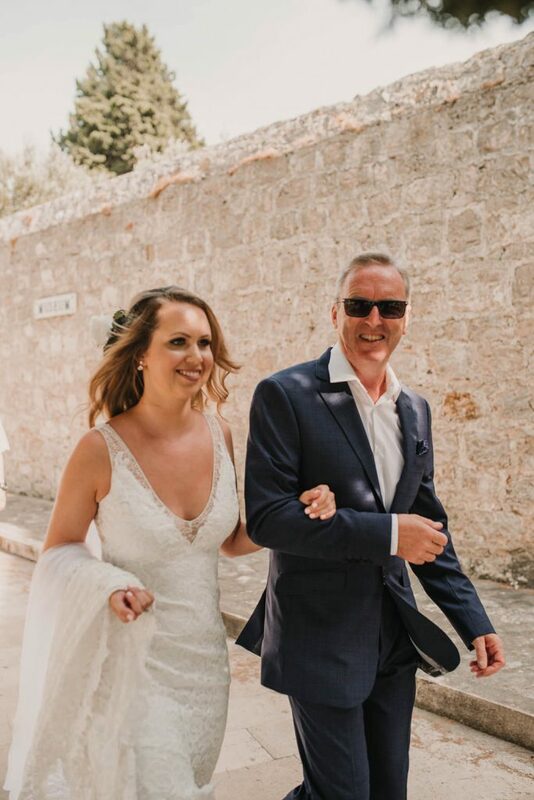 We both have a love of travel and knew we wanted to get married abroad. 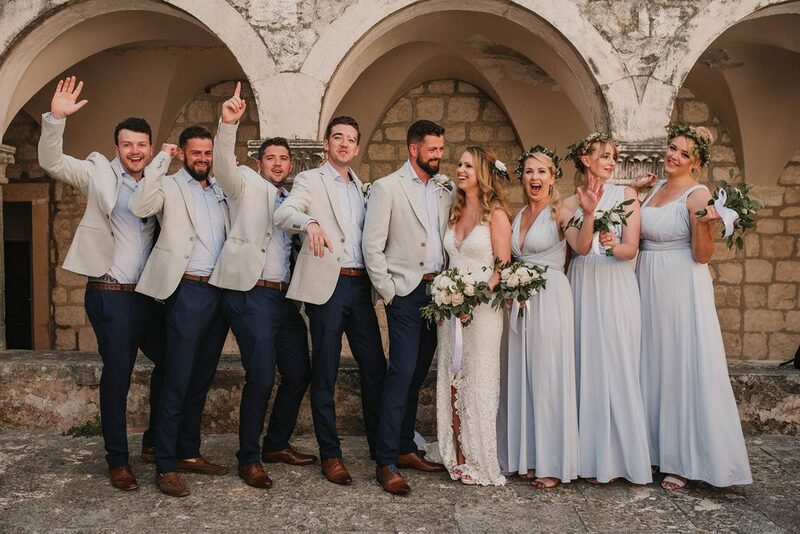 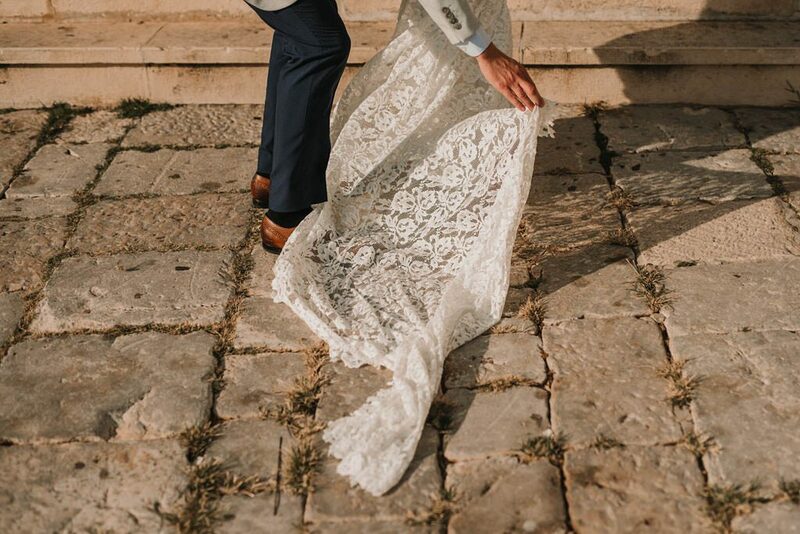 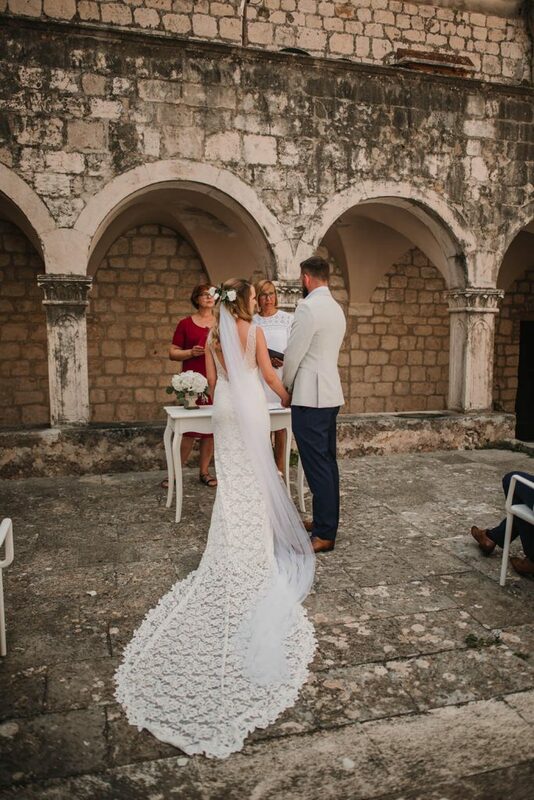 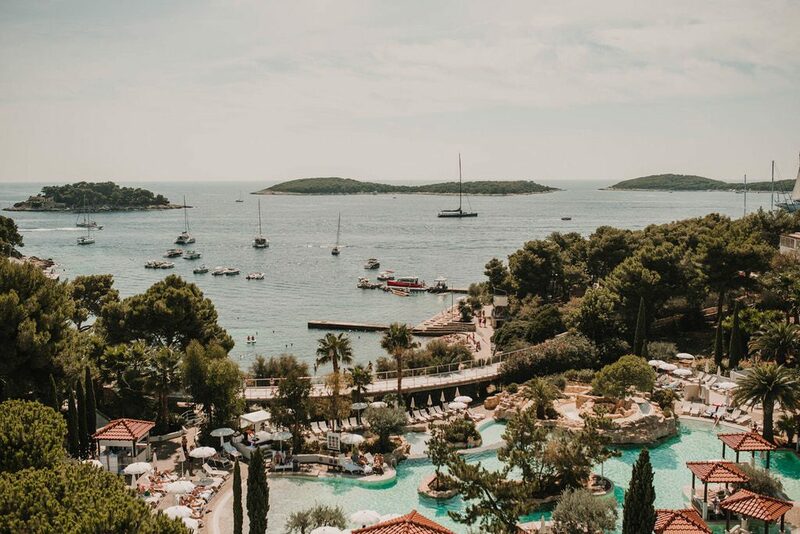 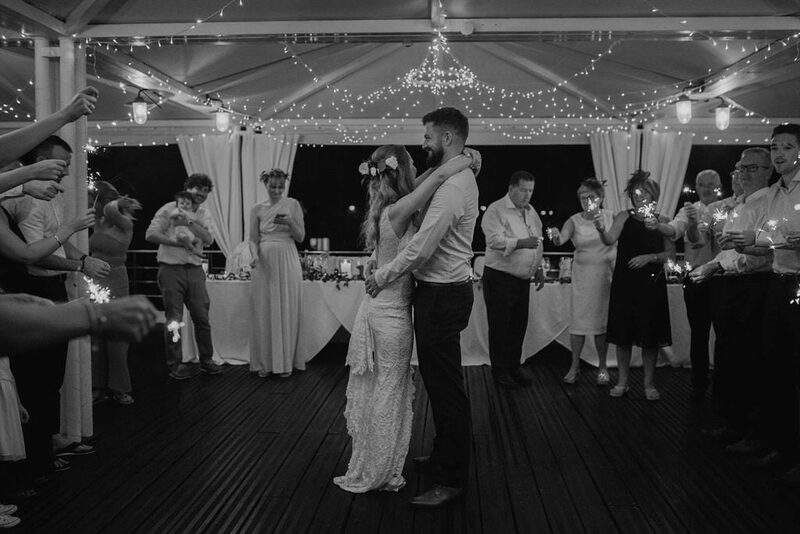 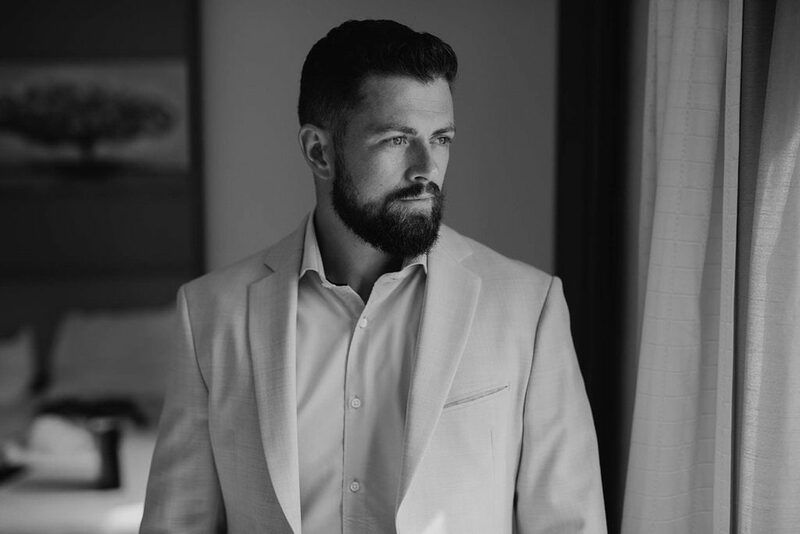 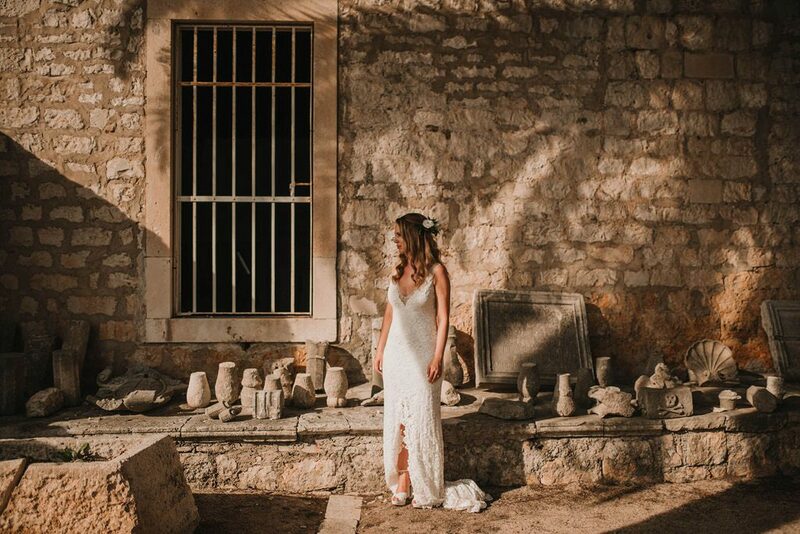 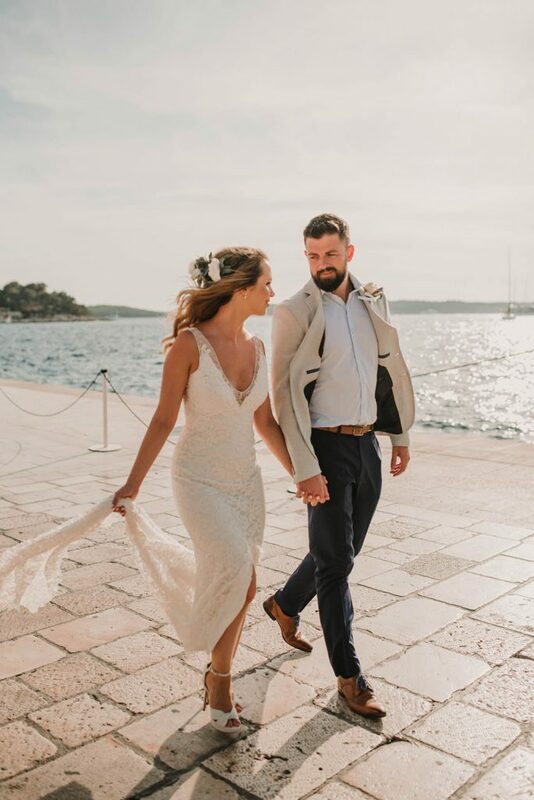 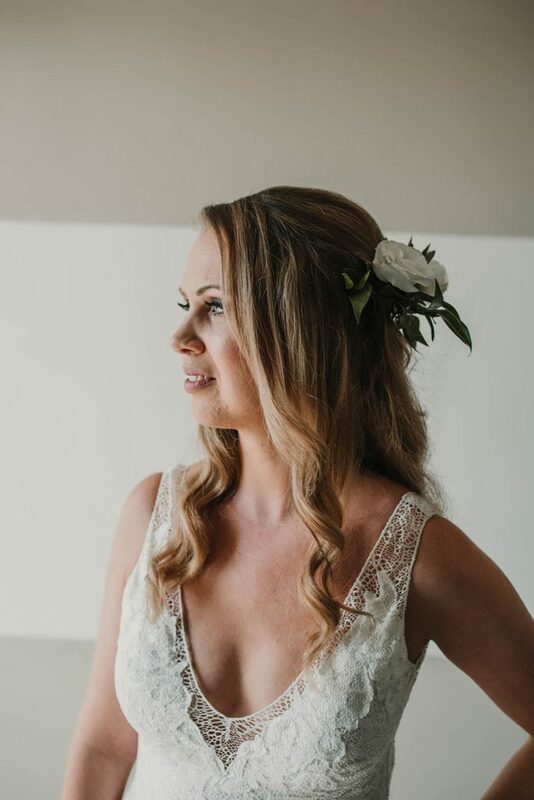 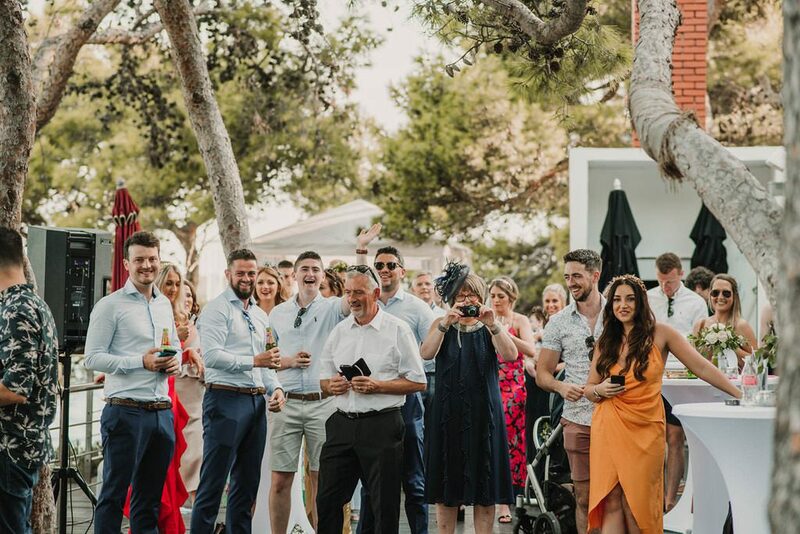 I had been to Croatia before and fell in love with Hvar, after describing it to Ollie we were convinced it would be the perfect place to get married. 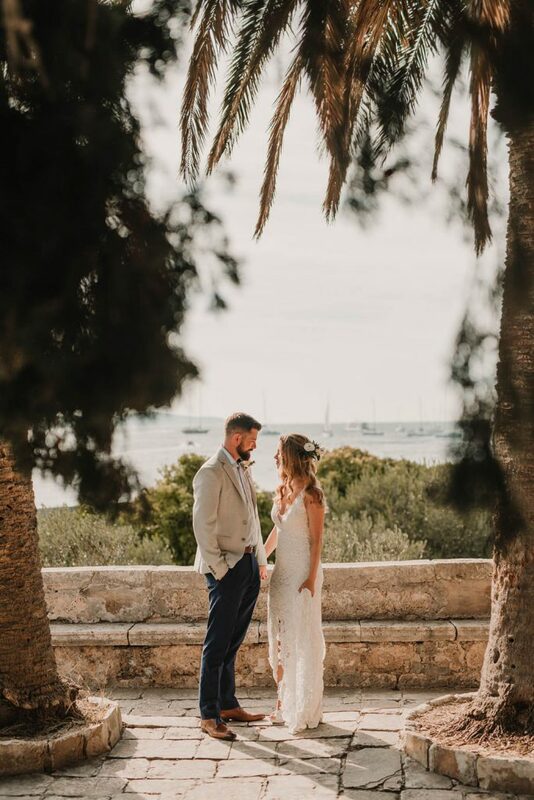 We chose September as I was on my holidays and the weather was a little cooler on the island with less people around so it felt more private. 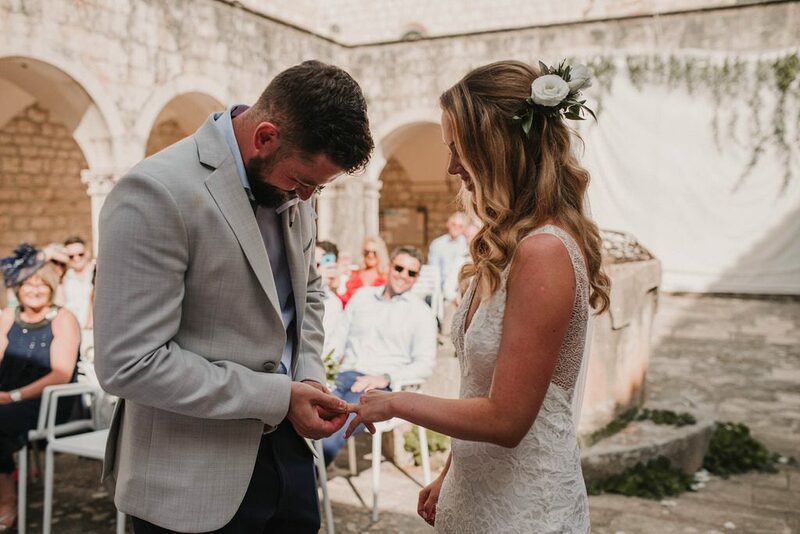 The opted for an outdoor ceremony outside Hvar’s Franciscan Monastery, a 15th century Croatian landmark. 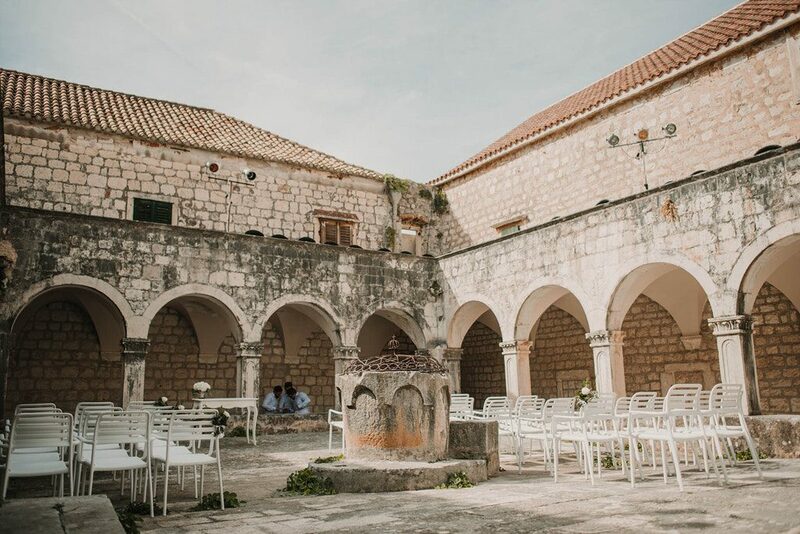 We chose the ceremony venue as it was incredibly beautiful and the reception venue really made the most of the incredible setting. 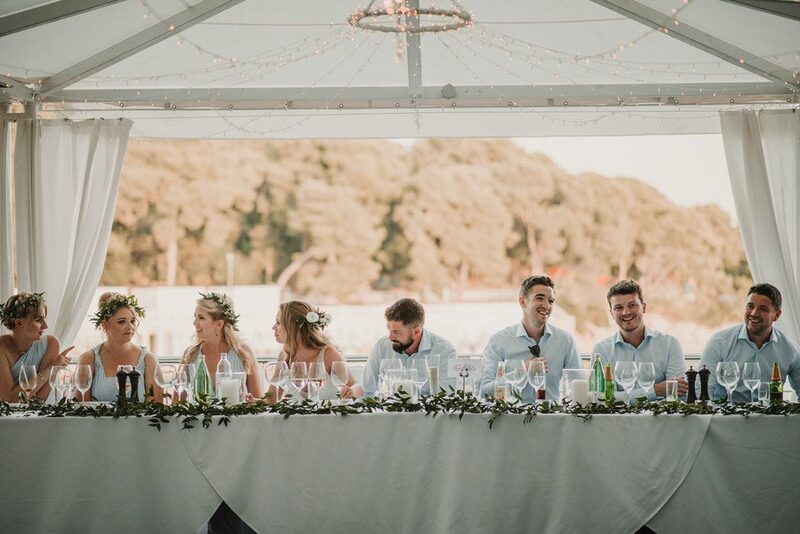 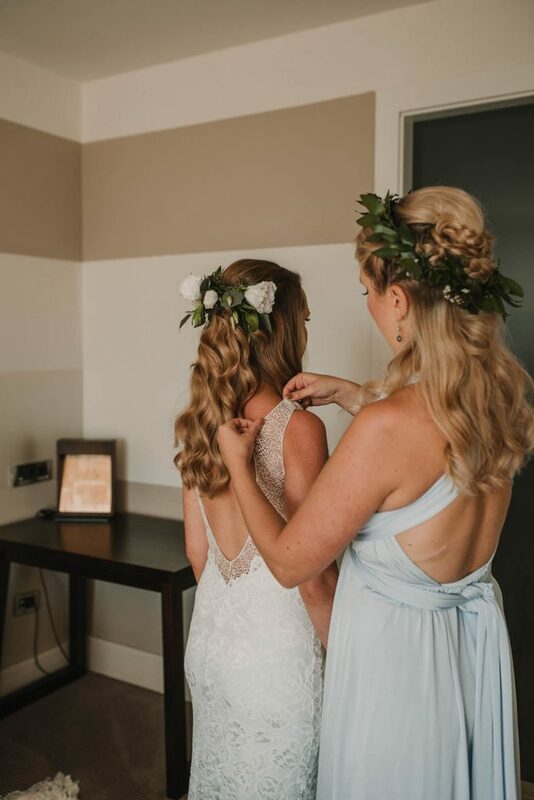 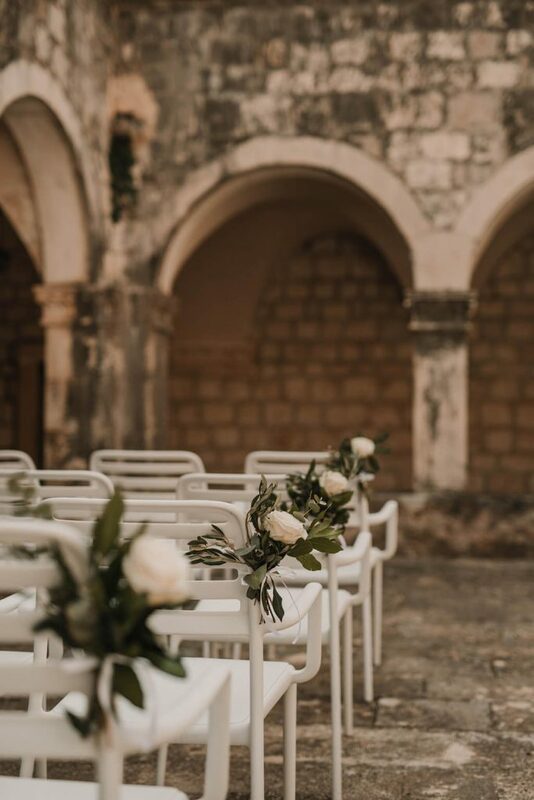 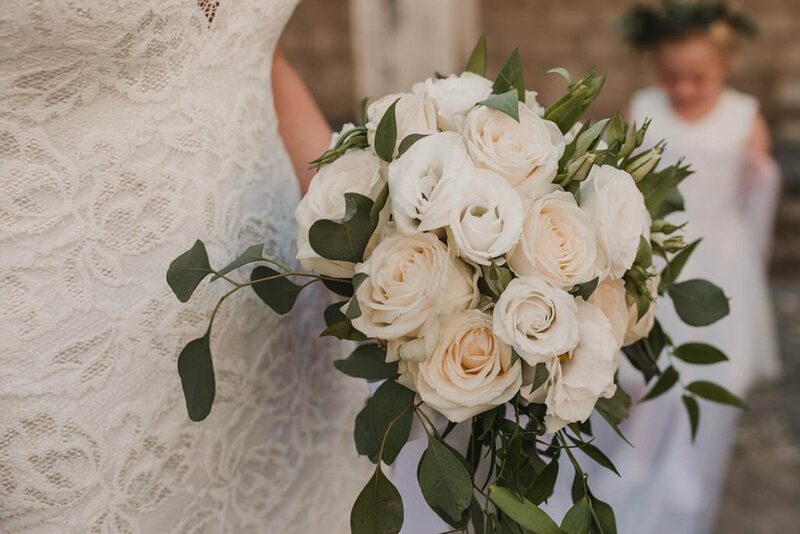 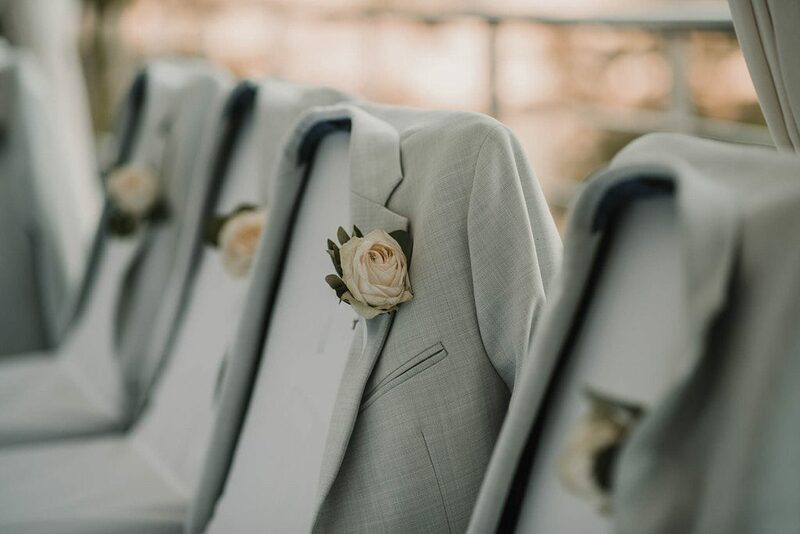 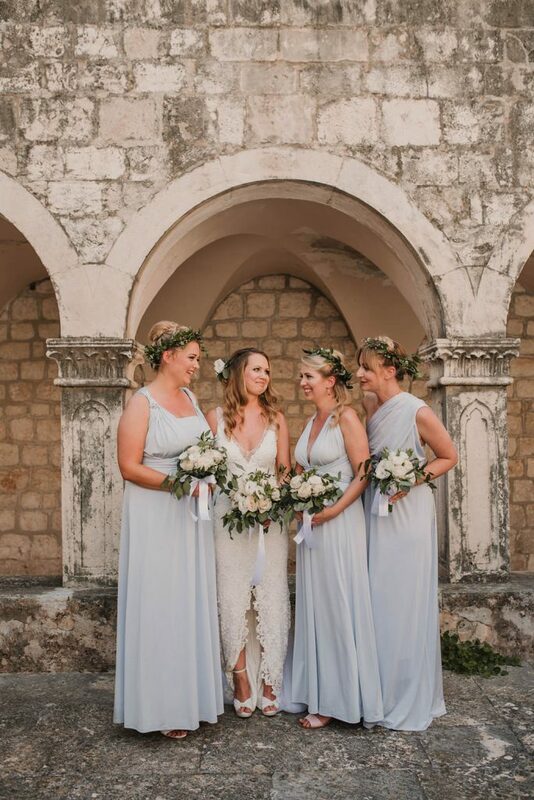 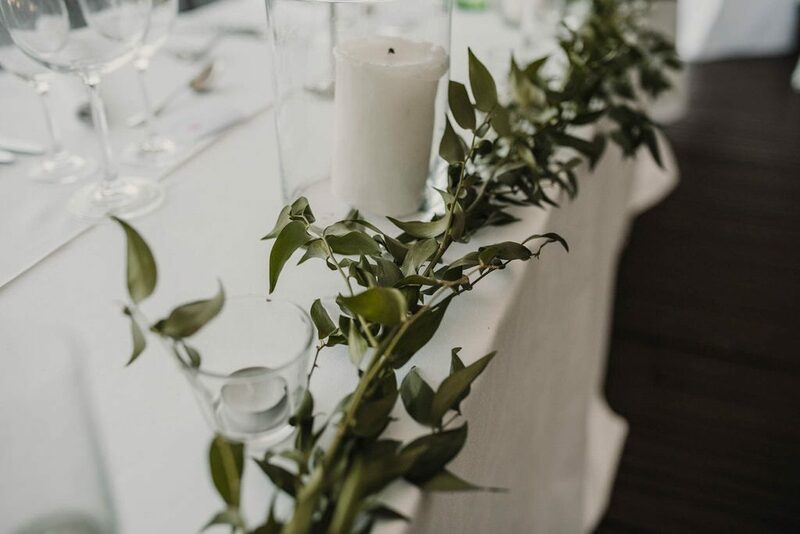 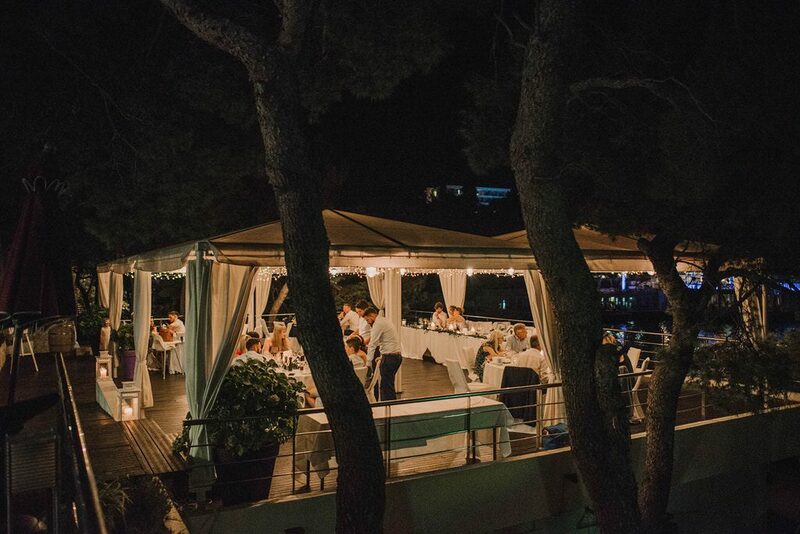 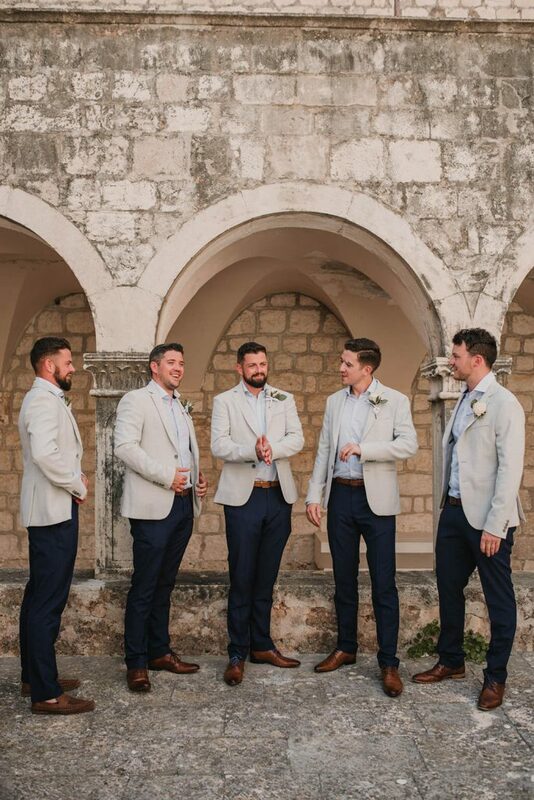 We really wanted an intimate outdoor wedding and kept to a timeless colour scheme of ivory white and olive green to compliment Hvar’s natural beauty. 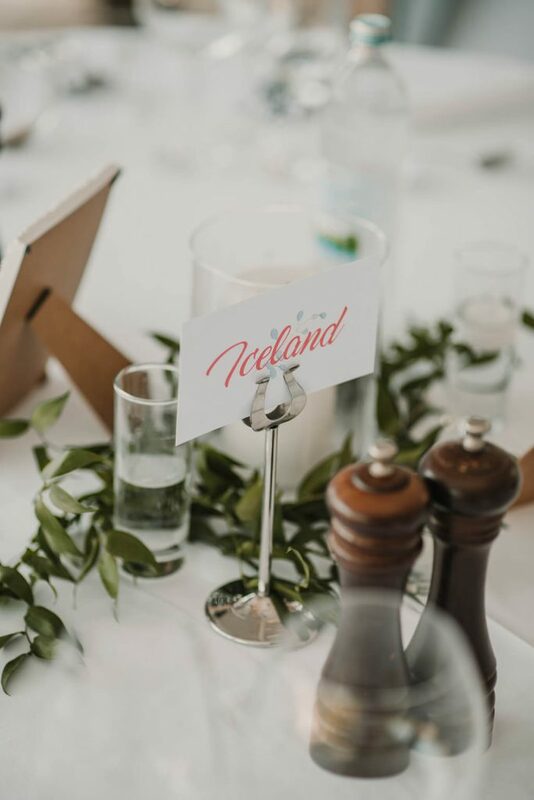 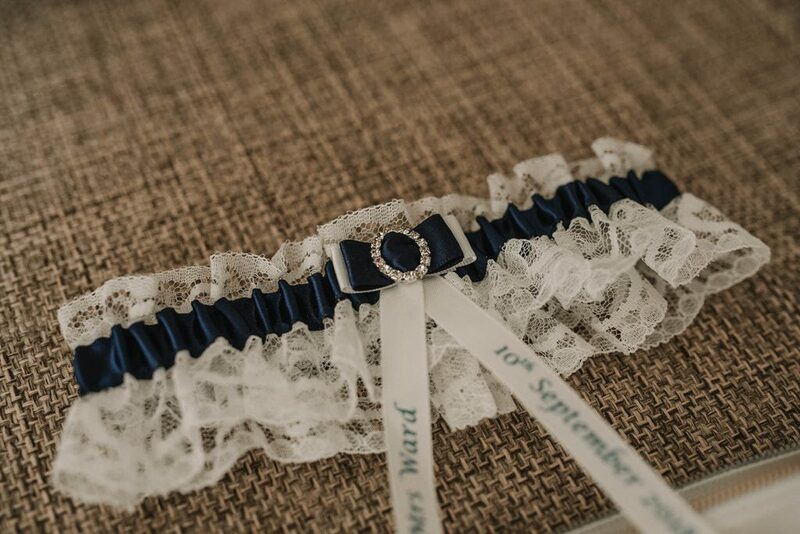 We wanted to add little touches to the reception like naming the tables after places we had traveled to with pictures of us in those locations to make it feel more personal. 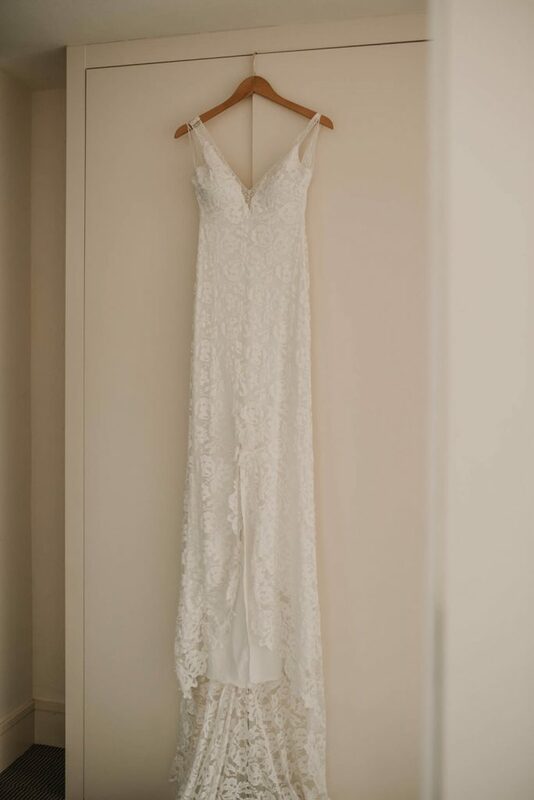 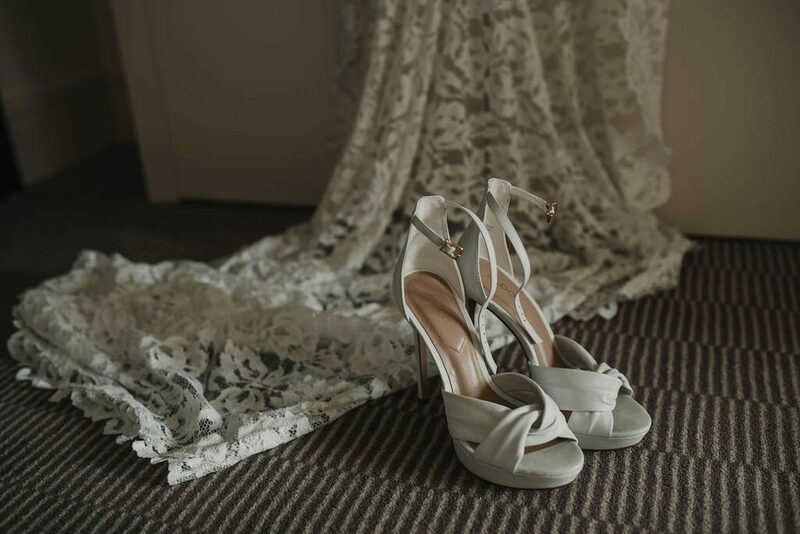 Harriet chose the dress as it was lace with a low back, straps and a dramatic train. 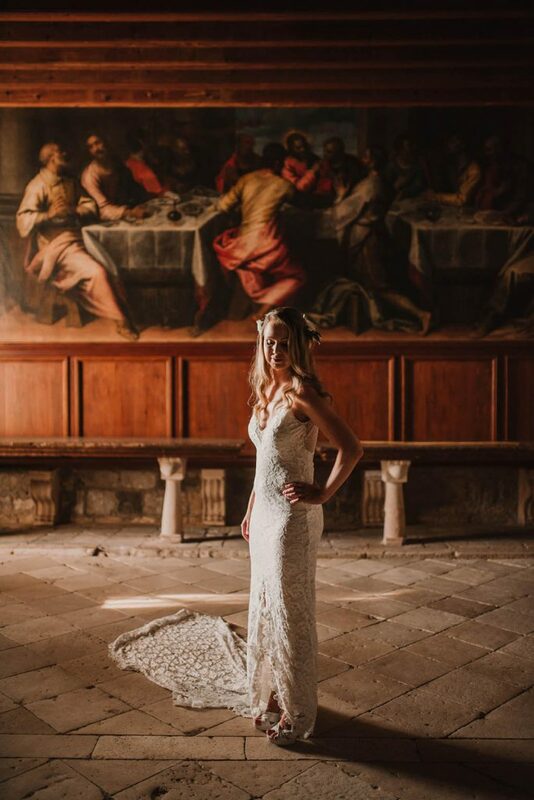 It was everything she was looking for. 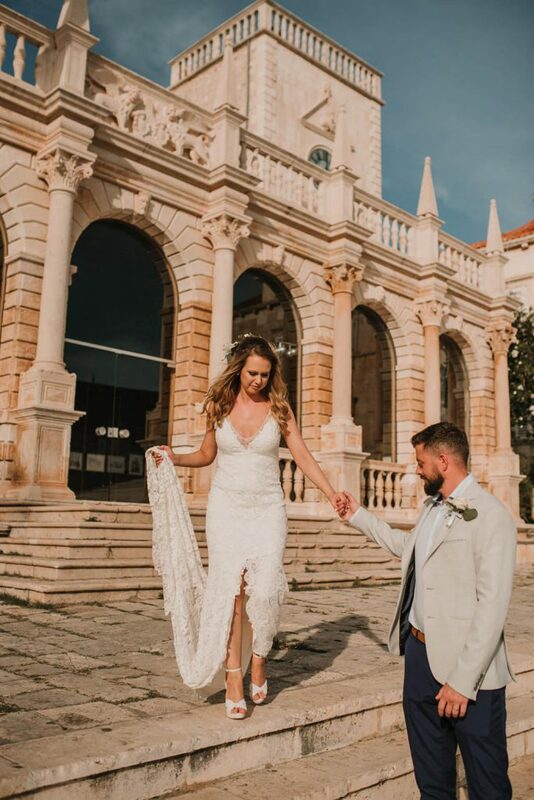 The dress was light and comfortable so she could enjoy the day and wasn’t too hot in the heat. 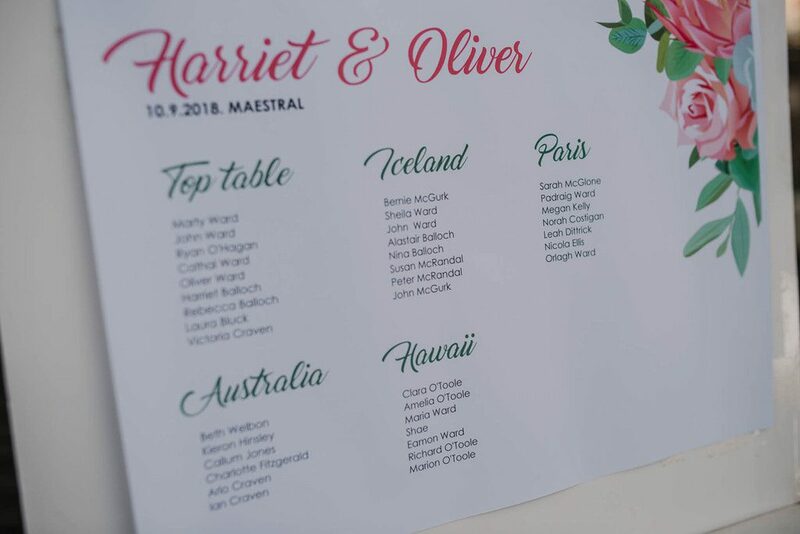 It was also from an Australian company which she liked as it’s where the two met! 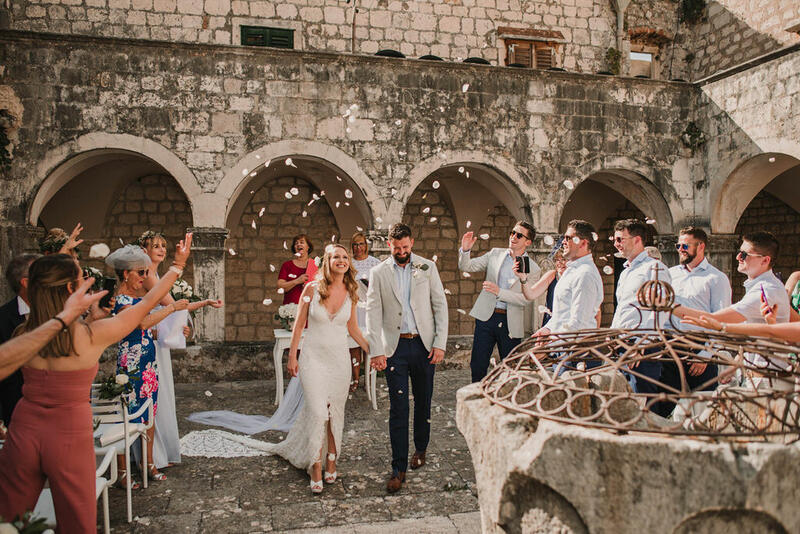 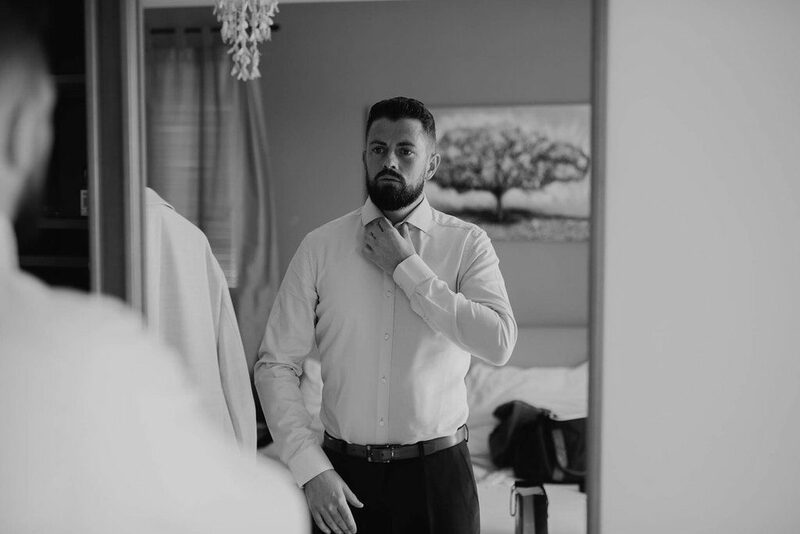 Iva and Vedran of Iva and Vedran Weddings are a photography duo capturing weddings all along the Adriatic Coast. 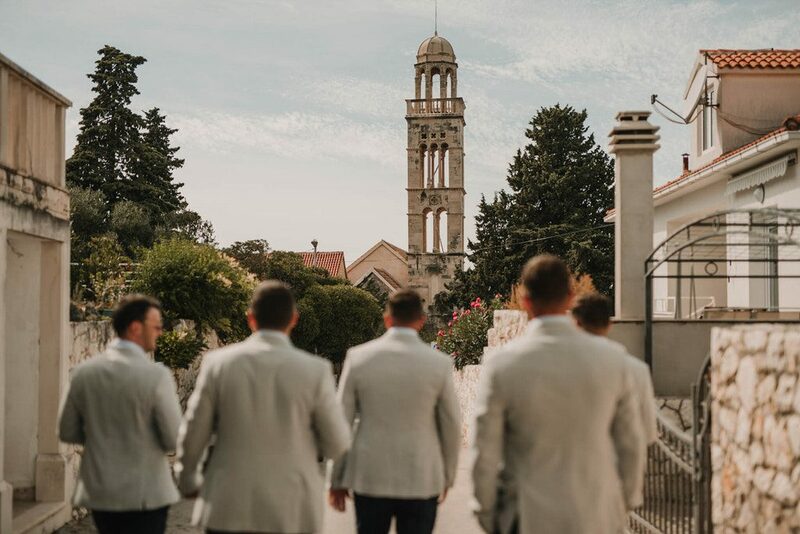 You can view more of Iva and Vedran’s wedding photography work on their website: ivaandvedran.com.